I am not so into the Presidential campaign (esp the Democratic race btw the Bernie Sanders v Hilary Clinton), but I really into this year's Republican GOP candidate lineup. Thank you Donald Trump and all the other candidates, for making it even more entertaining the Apprentice. 1. 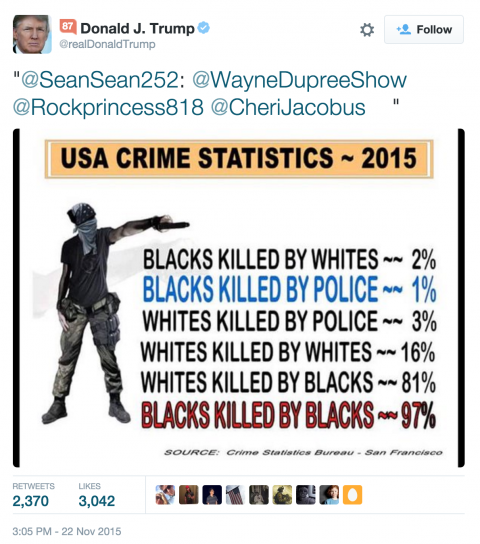 Trumpie. Way too many epic moments. From the Great Wall of Mexico (to be paid by Mexico of course, likely using American aid) to reading "the Snake" lyrics. And there was the "math fail", though I am reminded by something お母さん taught. Don't care about getting to the specifics, understand the intent behind the statement. That said, I agree with Trumpie. You can't fight 2 wars at one time. 15 years wasted in middle east, and only IS to show for it. 2. 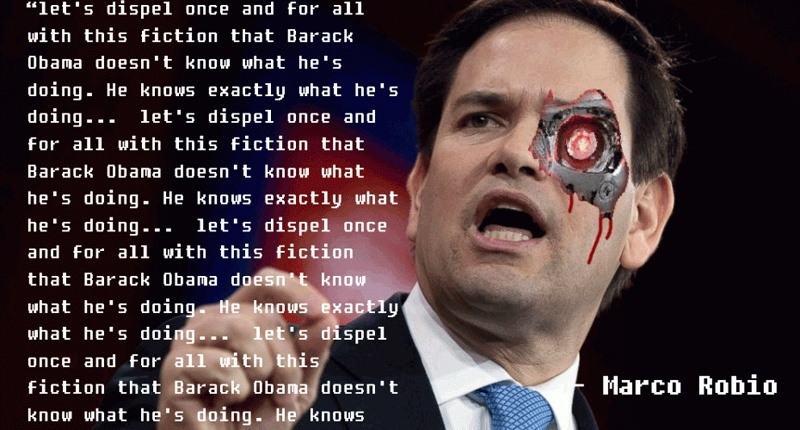 Marco Rubio at the New Hampshire Debate, resulting in the Robot Uprising. Keke. 3. Chris Christie, the political suicide bomber (best part starts from 2:47). Loved the part where he continues to gun him over the next 5 minutes. 4. 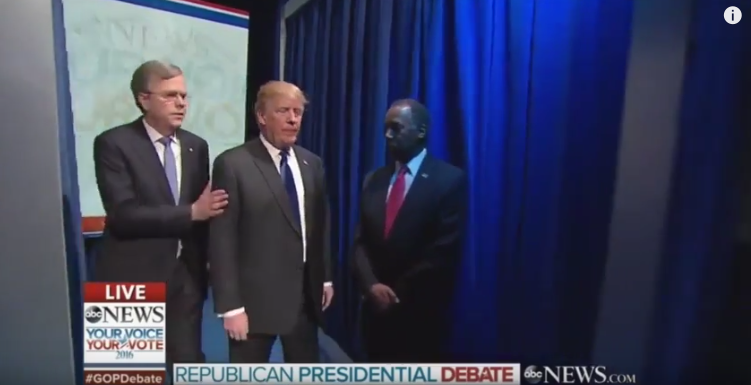 The screwup at the beginning of the debate, where Ben Carson hung back and Trumpie hung out with him lol. Awkward. John Kasich didn't even come out until later. 5. Jeb Barbara Bush. Not Jebbie, who needs mommy to fight his battle for him. Meow. 6. "Hug me!" Ted Cruz and the Donald Trump action figure. Where can I buy one?